There are a number of variations of solitaire games you can play. Their popularity has remained huge over the past couple of years. 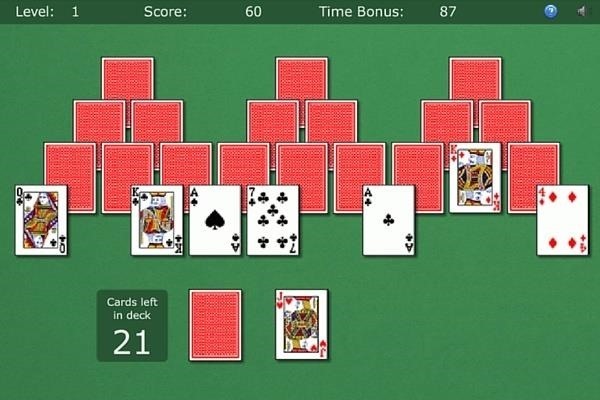 One of the most fast paced versions you can play is tri peaks solitaire. Although there are similarities with other solitaire games, there are a number of glaring differences. We would like guide you through this. The cards are dealt in three pyramids next to each other face down. The bottom overlapping row is however dealt face up. Below that a stack of cards is stacked face down with one face up card next to it. A card can be moved from the three peaks down to the face up stack. A card would only get moved if the card is one higher or lower in value. Should you run out of options you can draw from the single stack of face down cards. To complete a stage you need to remove all of the face up cards in the tri peaks. 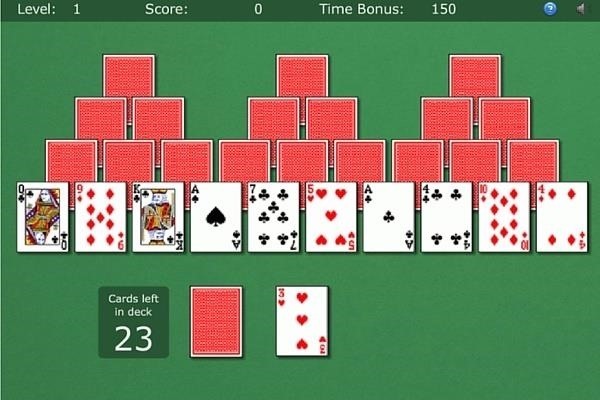 With most variations of tri peaks solitaire you would be playing against the clock (shown here in the top right of the screen). 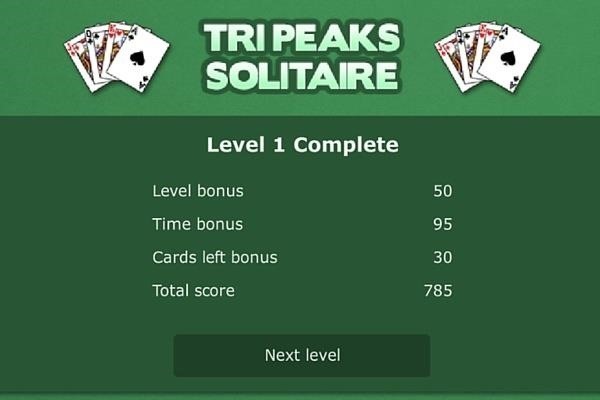 The scoring for most versions of tripeaks solitaire consists of a number of bonuses as well as your regular score combined. When given the option of two cards of the same value you can remove from the peaks, remove the one covering two cards or the biggest peak. It gives you better odds to complete the level and more options. Play often so that you can easily start seeing the patterns and "get into the zone". Very wonderful, thank you for your post.